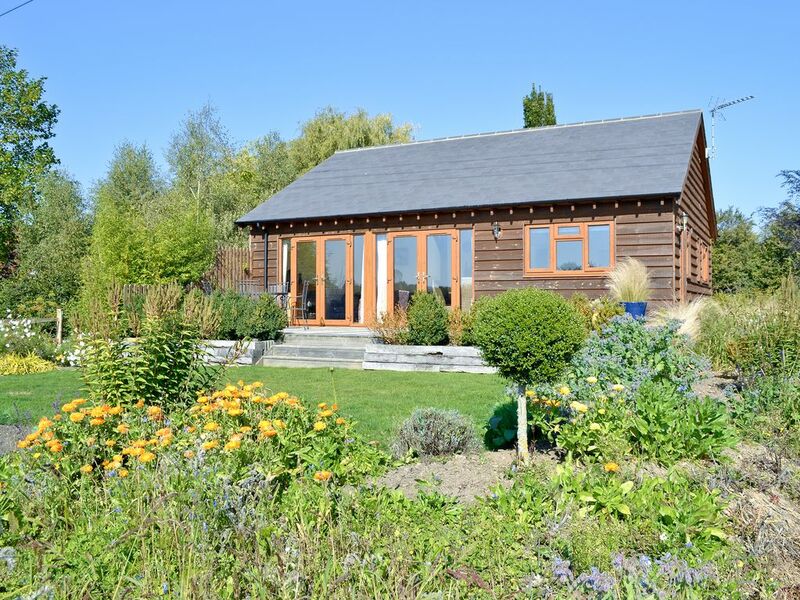 This single storey holiday lodge is situated in 3-acres of lavender fields which attracts buzzards, pheasants, deer and foxes. The setting offers beautiful scenery with breath taking lavender and attractive sunflowers. Lavender Lea is within 1 mile of the New Forest with acres of heath and woodlands and famous for its free roaming ponies, cattle, donkeys and foraging boar. The ancient city of Salisbury with its magnificent cathedral, 12 miles. Southampton with its fantastic West Quay shopping mall and leisure complex also offers easy access to the Isle of Wight. Shop, pub and restaurant 1 mile. All on ground floor: Living room with French doors and laminate floor/dining room/kitchen. 2 bedrooms: 1 double with laminate floor and en-suite bathroom with shower over bath and toilet. 1 twin with laminate floor and en-suite bathroom with shower over bath and toilet. Electric ’coal-effect’ fire and electric heaters included (£30per week February, March, October and November). Electricity, bed linen and towels included. Freeview TV. DVD. Electric cooker. Microwave. Washing machine. Dishwasher. Freezer. Wi-Fi £10per week. Small garden with sitting-out area, furniture. Ample parking. Welcome pack. No smoking. No babies or children under 10 years. There are three steps to the garden. No children under 10 years old. Wifi is charged at £10 per week. There is a £30 fuel supplement payable for February, March, October and November to the owner on arrival. Th cottage is in a quiet area, set next to lavender fields where the deer occasionally graze. The property is excellently equipped and has all the necessary amenities. It is on the edge of the New Forest and in easy reach of Salisbury, Winchester and the south coast. No problem recommending the cottage and may well return at some point. Probably the best holiday yet!!!! The cabin is beautiful, inside it is top spec and the lovely people left us some gorgeous biscuits and Lemon and Lavender marmalade (which was absolutely beautiful). It felt like coming home!! The scenery is wonderful. Even though the lavender was finished the garden was in flower and absolutely stunning. There is plenty to do around the area and breakfast in the tea room is highly recommended. Thank you so much for sharing this beautiful cabin.